There are many tips and tricks on WordPress security. Most of these include the installation of third-party security plugins. However, if you do not want to install the plugin, you can try a simple setup with the .htaccess file. The text file allows the author of web pages to set the selected server properties. Additionally, it does not need full administrator access and it only affects server behaviour for the selected directory and subdirectory on the server. WordPress basically uses it to set the behaviour of generated URLs to make them search engine friendly. Sometimes, you can not see the file after logging in to an FTP client. 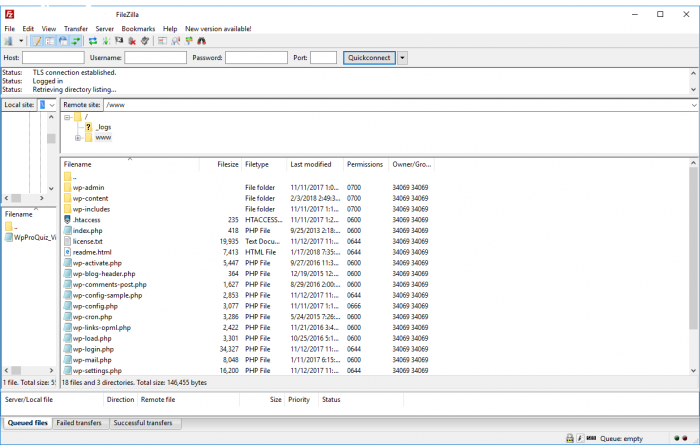 In this case, it is sufficient to force the display of hidden files in the program settings (most commonly Total Commander, WinSCP or FileZilla). If you still cannot see the file, you can manually upload it to the server, or simply click on "Settings"> "Permanent links" in the WordPress settings to change the settings to other than basic and save. Now you should already see the file on the server. Then, you can switch back the settings. To edit a file, you can use any text editor, from Notepad to developer PSPad Editor. Before editing the file, make a backup of the file to your PC to be able to reset settings in case of problems. To prevent attackers from seeing what files are on your web hosting, you can disable the public display of folders. This step is recommended by most security experts. Frequently, attackers attempt to break into the content management system using a so-called backdoor (backgates). Often, this is a file that will allow the attacker to sneak onto your web hosting so they can then execute additional commands and control your website. Have you noticed an unusually high number of requests for your website from specific IP addresses? If you think this behaviour is suspicious, you can block access to your website for specific IP addresses. Attacker's favourite technique is a so-called brute force attack. Scanning will begin with the attackers detecting the authors' sign-in names to the website. After that, they just need to do a dictionary or brute force attack on their passwords to gain access to your WordPress administration.